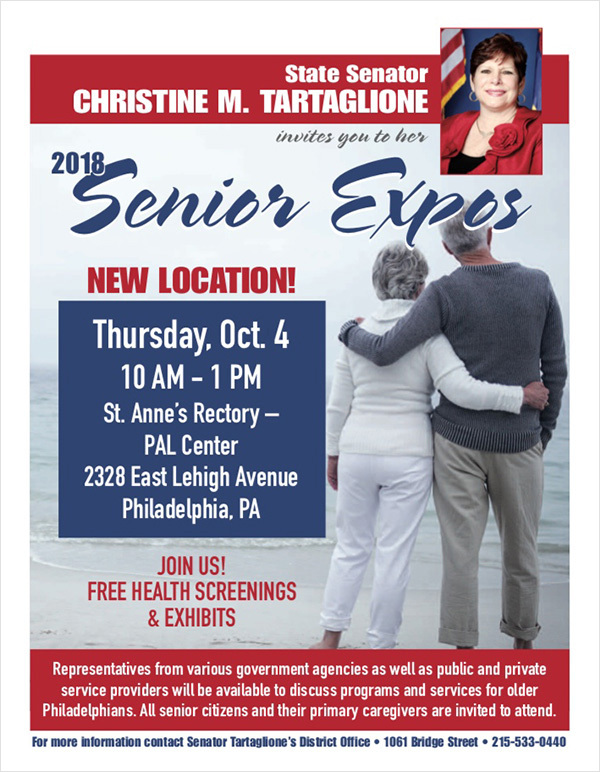 PHILADELPHIA, PA, October 2, 2018 – State Sen. Christine Tartaglione invites older Philadelphians and their primary caregivers to the second of her three annual Senior Expos this Thursday at the St. Anne’s Rectory-PAL Center in Port Richmond from 10 a.m. to 1 p.m. 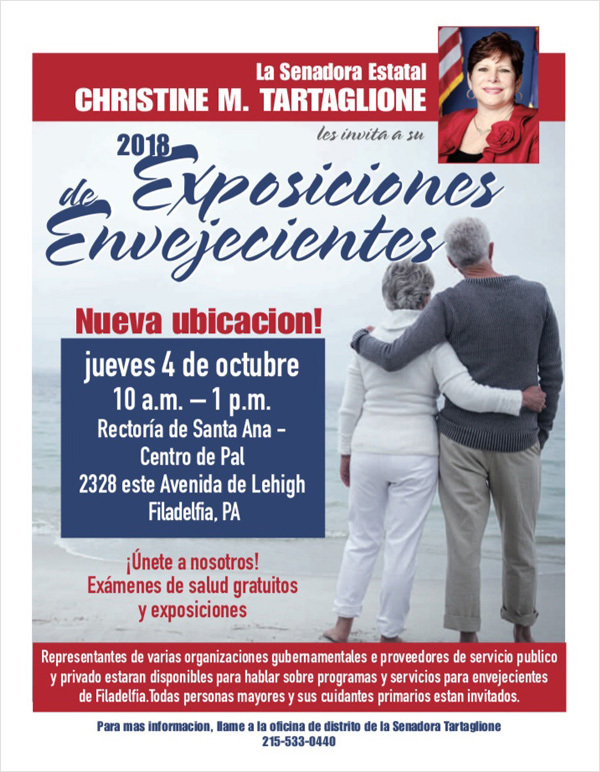 The Expo will offer flu shots, free health screenings and information about a multitude of senior programs and services offered by more than 50 public agencies and private providers. Topics will include healthcare, housing, financial services, consumer protection and crime prevention. This annual series of events will conclude on Thursday, Oct. 11, at Fox Chase Recreation Center. Media coverage is encouraged. Thursday, Oct. 4: St. Anne’s Rectory-PAL Center, 2328 E. Lehigh Ave., 10 a.m. to 1 p.m.
Thursday, Oct. 11: Fox Chase Recreation Center, 7901 Ridgeway St., 10 a.m. to 1 p.m.